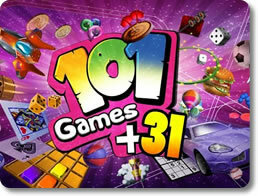 Play Over 100 Addictive Handheld Puzzle, Racing and Action Games! In this day and age where the portable app reigns supreme, there are literally thousands of games that you can download and play on the smartphone or mobile device of your choice. They encompass a wide variety of genres, including brain-bending puzzles, fast-paced miniature arcade games, and handheld simulators. It’s a gamer’s dream come true. However, with so much choice out there, it can be hard to decide what games are really right for you. That is where 101-in-1 Games comes in. 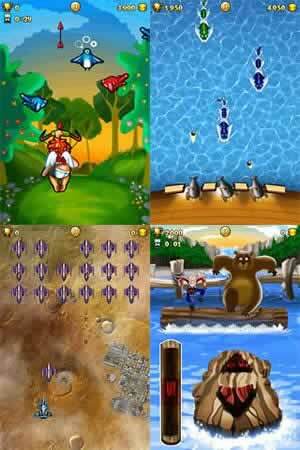 You won’t get a single game to play with this handy little compilation; you’ll get over a hundred! From mind-twisting puzzlers to high-speed racers, the sheer quantity and variety of games you’ll find here is so insane, that it should be institutionalized. Don’t get too taken in with the title. 101-in-1 Games does not actually have 101 games. That may have been the case in an earlier version of the package, but since then, even more titles have been added to it! If that sounds like it might be overwhelming, then rest assured; the package contains a few neat little features that will ease you into the experience. Includes 132 distinct games and counting! Stay on the lookout for more additions in the future. Start off with 10 games to get a feel for 101-in-1 Games as a whole. Earn points as you play and spend them to unlock new games. Unlock and play the games that tickle your fancy the most. It does not matter what kind of gamer you are. 101-in-1 Games has something for everyone. Download the compilation and you will have permanent access to a huge number of games across many genres that you can play right in the palm of your hand! Race your car through the track at speeds of over 100 miles per hour. Use your finger or stylus to bank the vehicle and dodge other cars. Fill out Sudoku boards with every tap of your finger. Take a small battalion of tanks and go to war against an opposing army’s armor division. Shoot ferocious sea serpents with your cannons before they reach your ship. Rotate a small maze to move a precious gem outside of it and into your eager hands. See how long you can juggle a soccer ball into the air using your finger. Catch fish hook, line and sinker for a diligent Eskimo fisherman. Try to make a picture-perfect copy of an image. Dodge alien spacecraft and shoot them down with your heroic spaceship. With 101-in-1 Games, what you see is what you get. 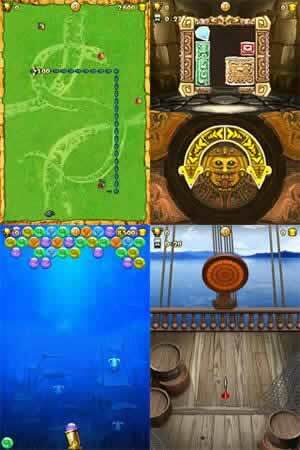 You get to play your choice of over 100 games, all of which have their own distinct visuals, sounds, mechanics, rules and challenge levels. You can invest a little time into your favorite title for a coffee break or kill an entire afternoon just fooling around with the app. In any case, should you ever want to add a little more variety to your mobile gaming library, then by all means get 101-in-1 Games. It could very well be the last mobile game you’ll ever need!